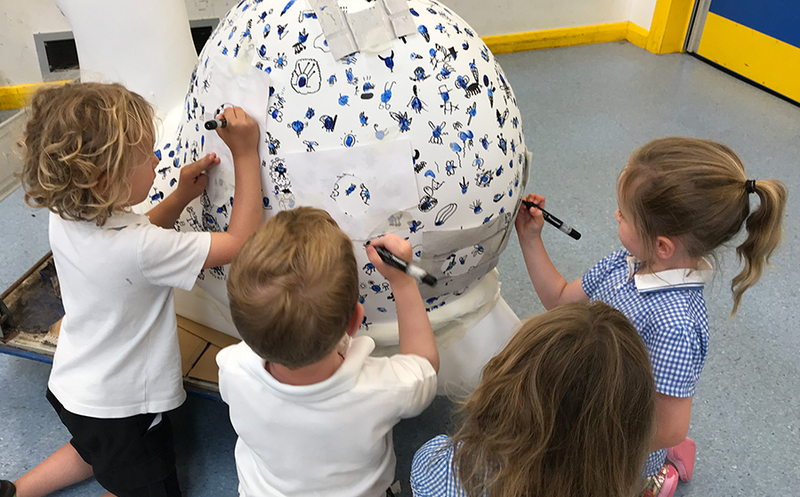 Having worked with Martlets and West Hove Infants on the Snow Dog trail in 2016 I couldn’t resist the opportuntity to help Goldstone Primary with their Snail Sculpture for the 2018 SnailSpace event that starts this September. 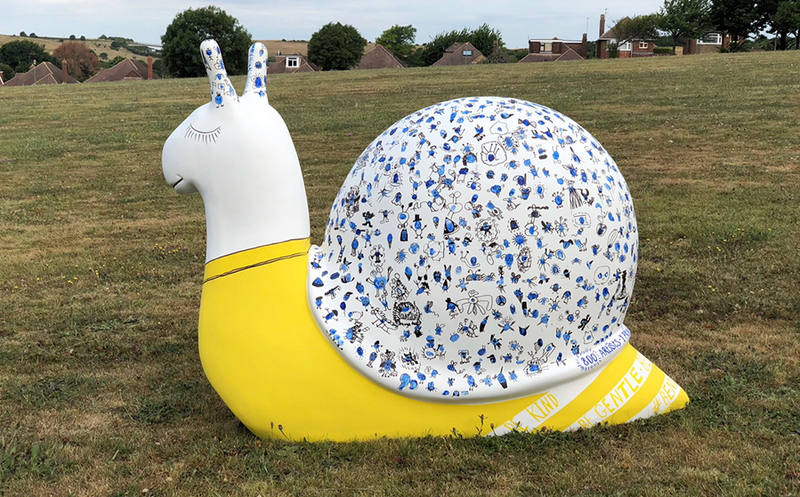 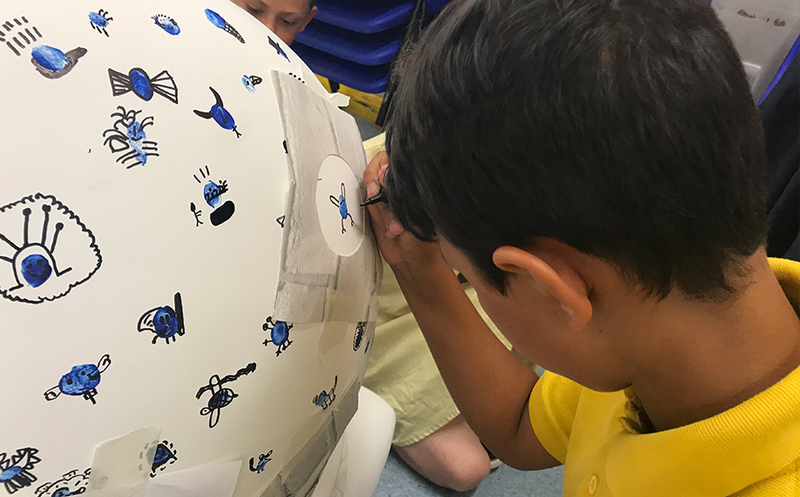 Over 100 sculptures go on display around Brighton and Hove and over 50+ Schools, Nurseries and Youth Groups have signed up to help support this amazing event to raise vital funds for the Martlets, by decorating a mini Snail for the trail. 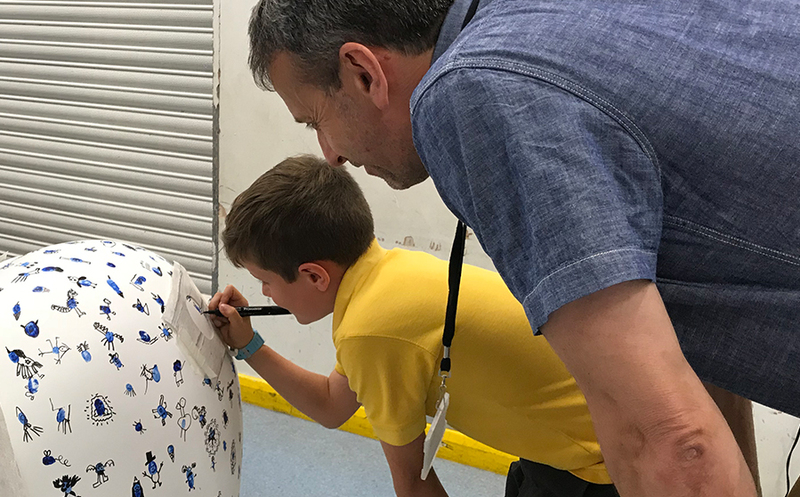 I wanted to get all 800 children and staff involved in the project so everyone could share the experience. 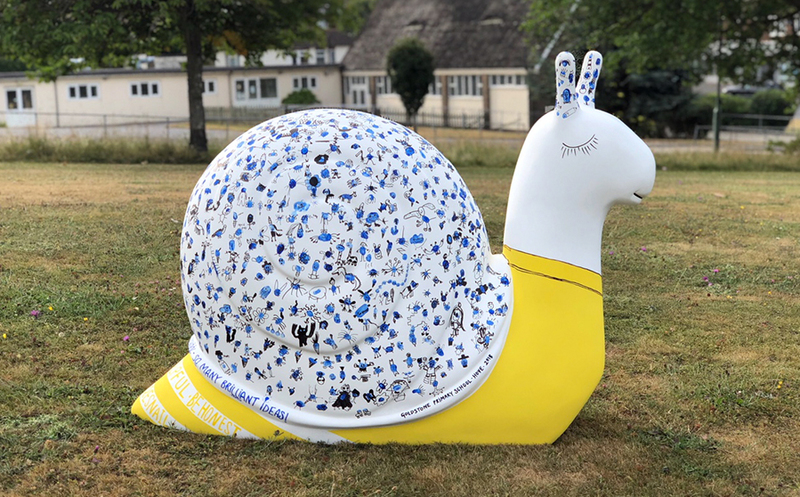 Everyone placed their finger print on the snail’s shell and used black marker pen to make it into something unique. 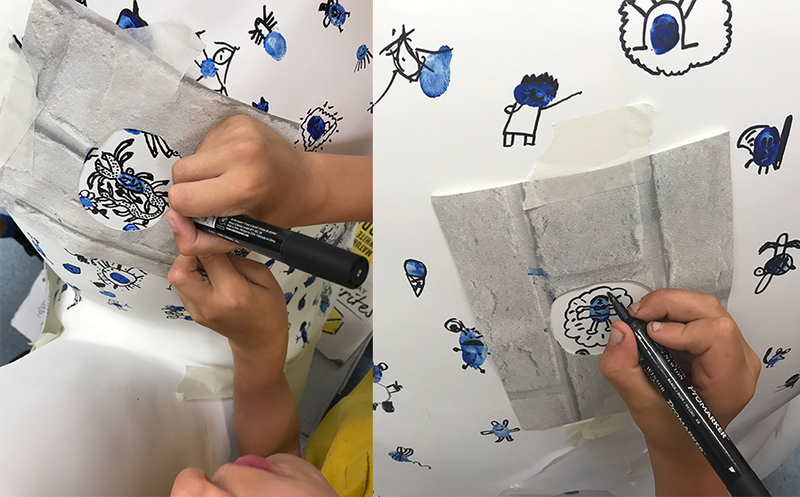 And what a result! 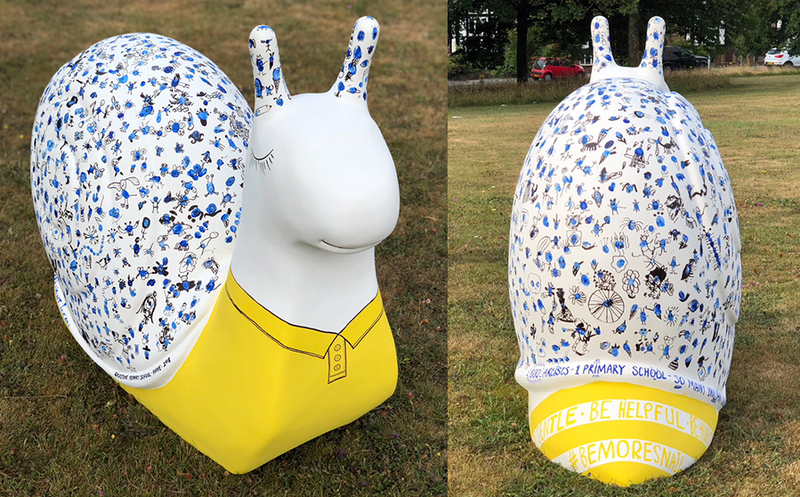 Say hello to Sheldon, The Goldstone Snail.